Thanksgiving is by far my favorite holiday of the year. It’s a day to be intentional about practicing thankfulness AND to cook and share a meal with the people I love the most. When it comes to the meal, my family appreciates tradition, and there are dishes we make sure to have every year. But I have come to love it when family members bring new dishes to Thanksgiving, too. It has helped me try new foods and learn various cooking techniques. 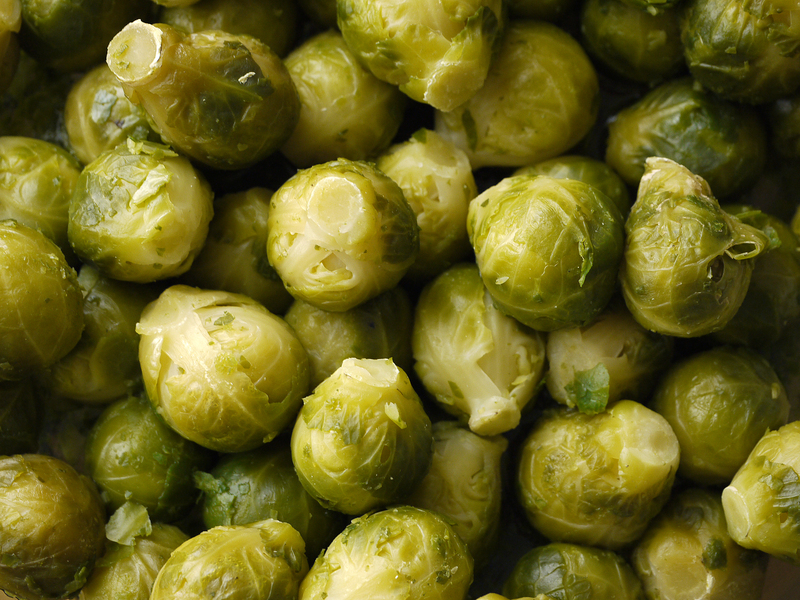 My family’s creativity with side dishes has led us to a new reality – one that my mother probably once believed was unimaginable – my brother and I now love Brussels sprouts. We eat them not only at Thanksgiving, but at all times of year. A special meal like Thanksgiving can be a really great time to get kids to try new foods. These dishes are great for Thanksgiving, but they make for wonderful, satisfying sides or entrees for any time. This dish is wonderfully easy to prep (only 10 minutes) and you will be amazed at how good they taste! If you opt for frozen, you will need about two bags. You do not need to thaw them beforehand – the oven is hot enough. If you go for fresh, you will probably only need about one stalk. Mix them in a bowl with the garlic, olive oil, salt and pepper. You may be able to find butternut squash already chopped and bagged at some grocery stores. Their skin is pretty hard so it can be a bit of work to chop, so it may be worth it to you to spring for this option. Heat oil in a large pot over medium-high heat. Add squash chunks and salt. Cover, and cook, stirring occasionally, until partially tender, about 8 minutes (reduce heat if squash begins to brown). Add 1 cup water, cover, and simmer over medium-high heat until completely tender and water has mostly evaporated, about 15 minutes. Mash with a potato masher. Season with pepper and rosemary. This recipe is in honor of my friend Tyler. His family is from Rocky Mount, NC, and they believe it just isn’t Thanksgiving without collard greens. One can of diced tomatoes, drained, is just fine in place of the fresh tomatoes. In a large pot over medium heat, heat the oil and butter. Saute the onions until slightly softened, about 2 minutes, then add the red pepper flakes and garlic, cook another minute. Add collard greens and cook another minute. Add the vegetable stock, cover and bring to a simmer. Cook until greens are tender, about 40 minutes. Add tomatoes and season with salt and freshly ground black pepper. 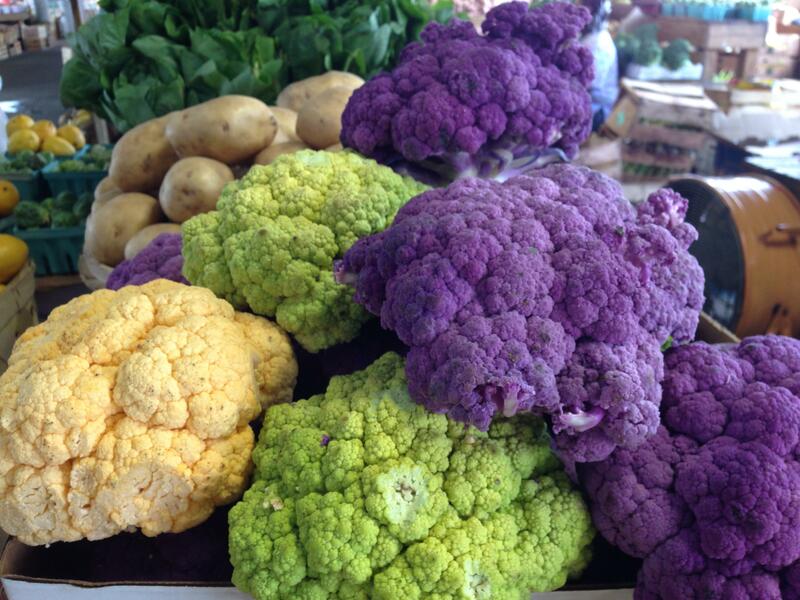 As a young kid, I never ever thought I would like cauliflower. That all changed though when one day I had happened to try it roasted. My, did that change everything. Its texture lends itself wonderfully to roasting. I think this is going to be my new addition to Thanksgiving this year. Recipe from What’s Cooking? USDA Mixing Bowl. Available here.